My heart dropped when the doctor told me (at Farrah’s and Callie’s well child visit) that Farrah was due for 4 shots today, but it didn’t seem to phase Farrah one bit. In fact, she sat on the table with a smile, and didn’t flinch until the second shot began. She whimpered a bit, and all four were done without her letting out a true “cry”. She immediately got up with a hug from me, and was totally fine. I didn’t hear another word about it! 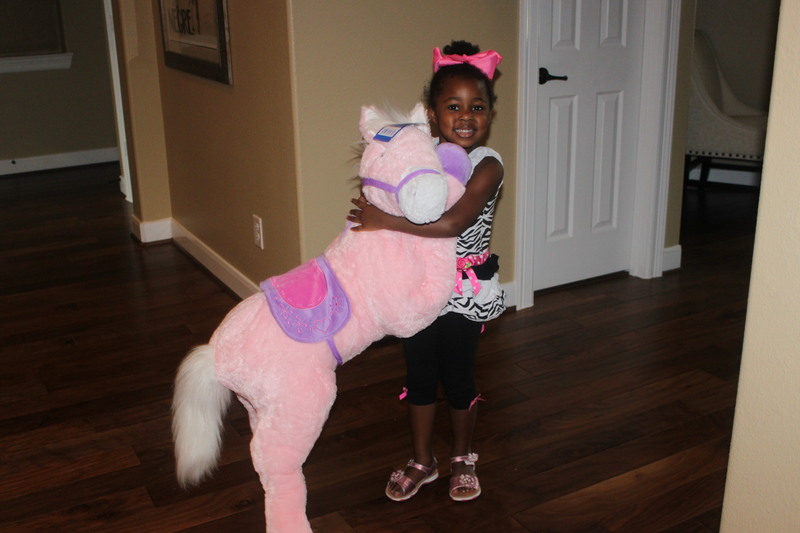 So I did what any bold mother would do… I drove right to Toys ‘R Us and told her to pick out any one item. Next PostNext Summer Break is Over… The Real Stuff Begins NOW!